One day I spotted a rather unusual poster. It looked very special and I was won by the pleasant mix of colors and simplicity. 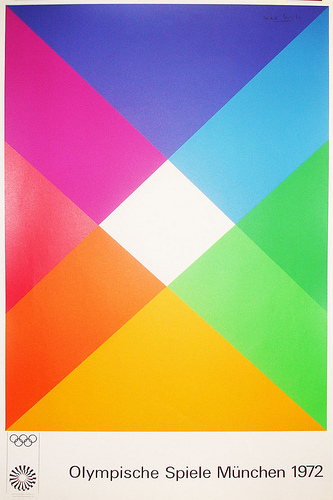 It turned out that this was one of the posters made for the Olympics of 1972 in Munich. I was surprised by how fresh and contemporary the work looked realizing that the poster was created almost 40 years ago. I decided to study the style of this event more carefully and started web surfing. Visual style: uniform or custom-tailored?